Types of Progressive Lenses: How many types of these eyeglasses are there? Progressive glasses and multifocal glasses are the same. The words are interchangeable in this article. Progressive lens are “multifocal” lenses that offer a smooth progression of several lens powers for very optimised vision across the region, usually near distance being at the bottom and far distance viewing at the top part of the lens. Observing how progressive lens are made let you understand the special characteristics associated with every design. Before that, let us introduce the structure or design of a progressive lens. There are 4 major parts on the lens. When multiple prescriptions are compressed into a single piece of lens, there will be distorted or blurred area (the blue area). Wearer will find that the vision is wavy and distorted. A better design lens has wide yellow area also know as the corridor and less distorted area. At the relax mode, when wearer looks far, the eyes will see through the green area. When wearer is doing desk job such as computer or paper work, he or she will see through the yellow area. Lastly, during reading, the eyes will actually look down instead of the entire head moving down. Point to note: this is actually how our eyes move. Different prescription is placed at different position is purposely to help the eyes. So the key to comfortable vision depends on the precision of the prescription and the design. 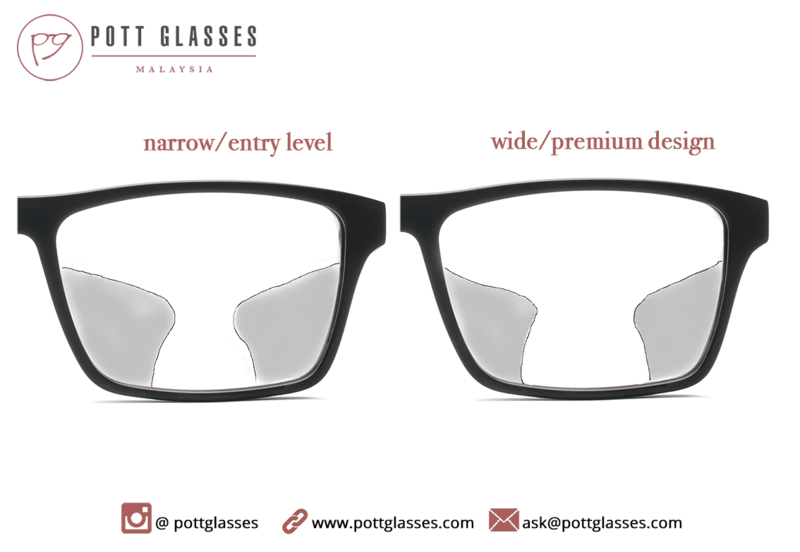 Now that we have explained the structure, let us see how one progressive lens varies from another. One of the old forms in the types of progressive lenses. This form of lenses makes use of a semi-finished lens which will is molded with virtually no cylinder (spherical power) at the front. Instead, the particular spherical power will be added at the backside of the lens. However, this sort of progressive lens is quickly becoming obsolete, because this isn’t accurate since other better choices are now available. The specific corridors are narrower (the part of the lenses associated with power that corrects your vision). This types of progressive lenses designs give the most optimum view when the particular wearer’s optical needs are taken into the design consideration. The particular difference between digital progressive and traditional progressive lens is digital’s capability to do custom areas within a lens, to tailor to an individual’s needs. Digital progressive lenses make sure that the most precise prescription can be tailored according to a person’s face, plus how do you wear your glasses as well as the position of your eye. The latest types of progressive lenses are digital free-form type. If available at the glasses store you visit, they would get recommended by opticians because they come along with huge benefits. Think about tailor-made coats that fit perfectly. These lens are particularly tailored uniquely for one prescription, together with frame sizes and position-of-wear. All the points are designed precisely to result in smooth prescription progression and minimise distortion. Besides, since the same spectacle frames may sit higher on one’s face, and lower on someone else’s, therefore measurements will need to be accurately taken in order to ensure the wearer’s optimal eyesight comfort and optical experience. 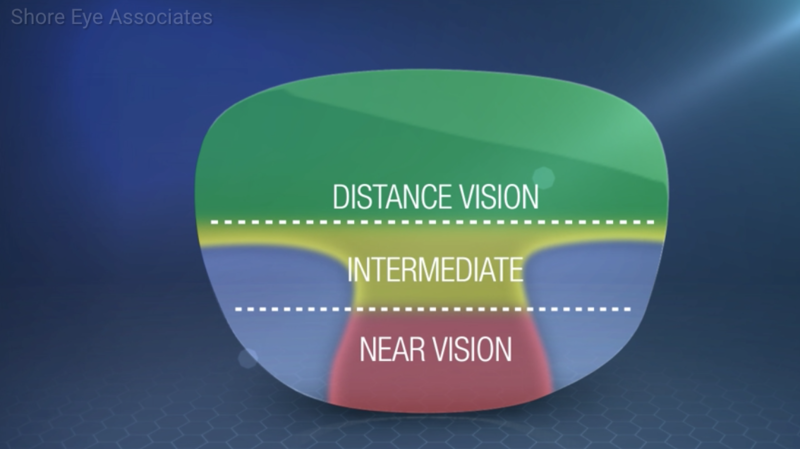 Digital free-form progressives glasses also offer broader and much more accurate channels plus corridors, which implies that you’ll have better peripheral vision. Besides this, digital free-form progressives also have the particular technology to decrease the particular blurriness around the edges the peripheral view. In determining which is the best progressive lenses or multifocal, we have to look few attribute i.e. lens coating, visual field, intermediate vision, reading comfort, distortion and adaptation. In terms of lens coating, Hoya has one of the most durable coating called High Vision Long Life (HVLL). It has really good scratch resistance coating and comes with two years warranty. For visual field, intermediate vision and reading comfort, we are talking about the lens design. As the power progresses, there will be limited clear visual field. Thus, to determine which lens is better, we need to factor in these 3 attributes. Same as distortion and adaptation, better lens has better vision stability and easier to wear. So back to the topic, for the best progressive lens or best multifocal glasses, we choose these 3 namely Hoya MyStyle, Carl Zeiss Individual 2 and Essilor Varilux S Series. Progressive lenses may seem to be complicated and arise the feeling of discomfort. However, with proper explanation and measurement, expectation can be met. Progressive glasses can really provide convenience to wearer. Concerned about the price? You can find out more about the range of progressive lenses here. If you just want to find our more about progressive lens to see if it is suitable for you, we are located at Petaling Jaya SS2 and Subang Jaya SS15. We are also giving RM50 discount when you make an appointment to visit us. This entry was posted in Progressive lenses. Bookmark the permalink.